Posted on February 6, 2019 by Arthur Jones in News by Arthur Jones. One thing that isn’t in debate: the performance and driving feel of this hot hatch – it is deeply rewarding. It is front-wheel drive, but thanks to some black magic aerodynamics (wings, scoops, splitters, inlets, ‘air curtains’); a bespoke, high-tech suspension (an advanced dual-axis front system and multi-link rear), a smart +R Race mode and a low centre of gravity, this car handles curves and corners much better than it should, according to real world physics. It feels light, stiff and responsive – it has an excellent power-to-weight ratio (168Kw per ton), and it has garnered plenty of awards and lap records – like being the fastest front wheel drive hatchback at Nürbringring. 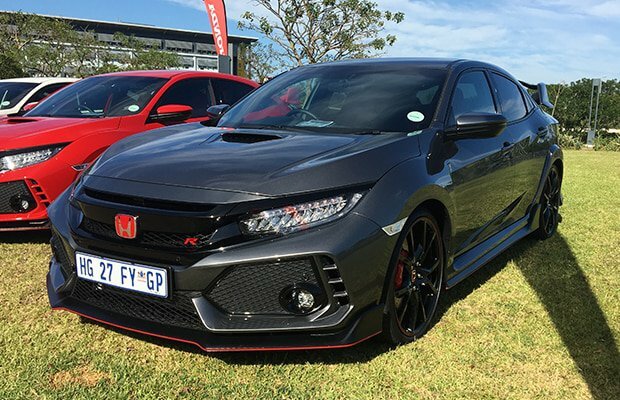 We were lucky to drive the Type R on the track – and we had pro racers take us around too. The videos don’t do this justice, but it is a start. The post The MH Motoring Minute: Honda Civic Type R appeared first on Men's Health.